Initially when I was thinking about what to make this week for my article, I thought I should try out another healthy snack recipe. Instead, I let my cravings get the best of me and decided to make cookies. This pretty much sums up how all of my life decisions end up being made at this point in the year. 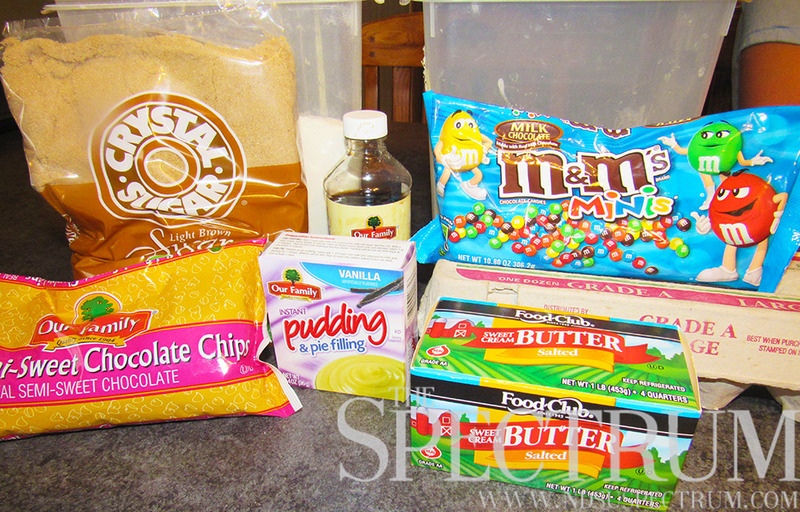 Beat together the butter, sugars, egg and vanilla extract in a large bowl until they are well combined. In a separate, medium-sized bowl, combine the flour, vanilla pudding (for softness and flavor) and baking soda. Slowly add the flour mixture into the sugar mixture. 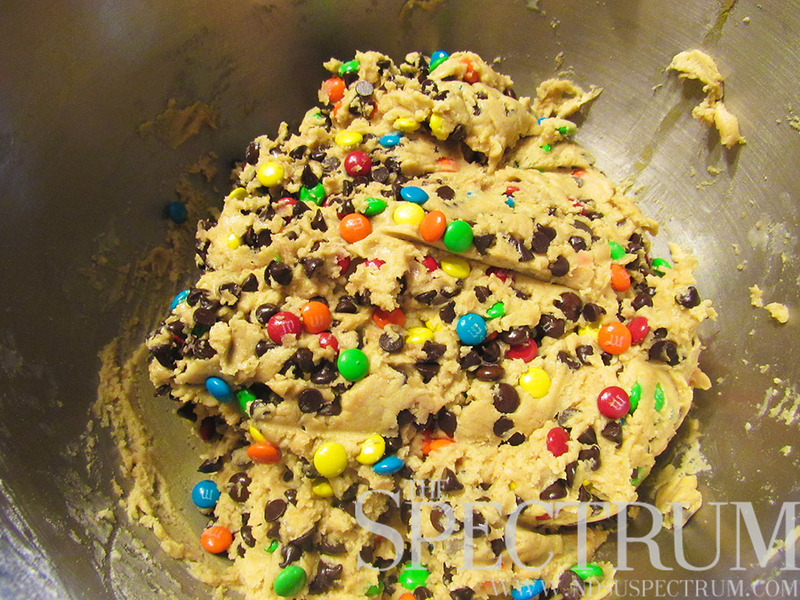 Stir in the chocolate chips, miniature M&Ms and refrigerate the dough for at least two hours for best results. Roll the chilled dough into about 1-inch balls and place them on a lightly greased baking sheet. 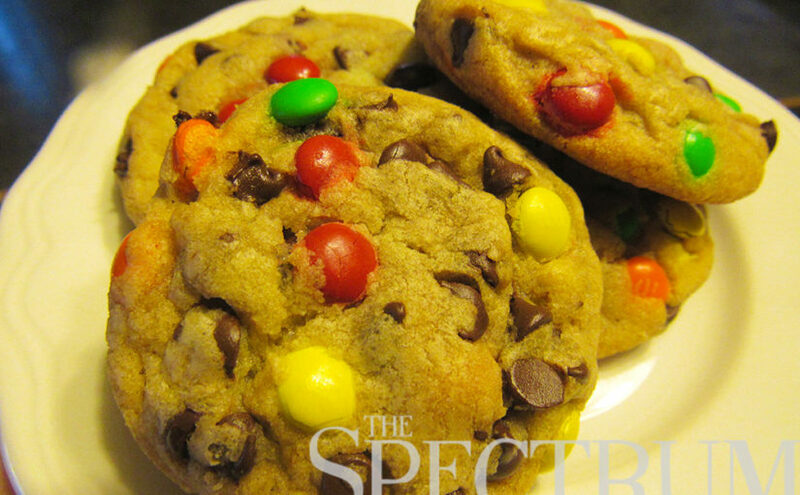 Bake the cookies for 10-12 minutes and allow them to cool for roughly the same amount of time. 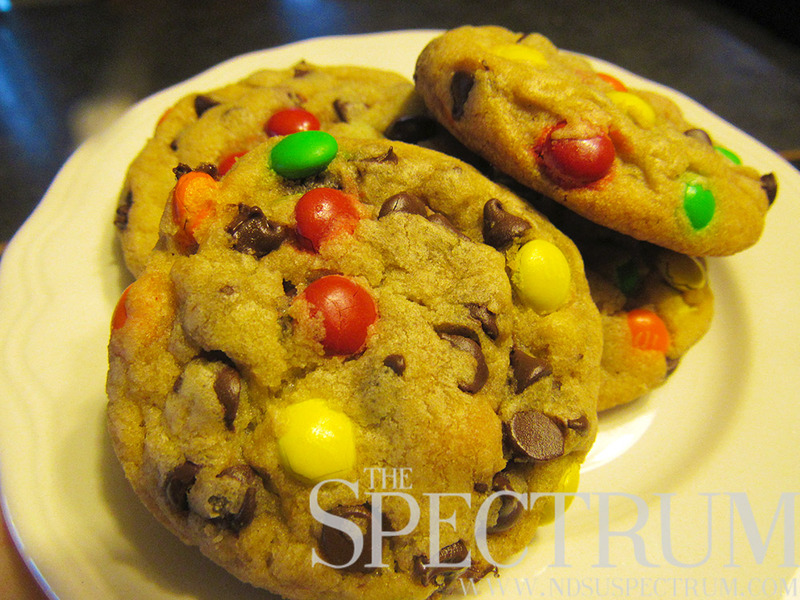 Finally, while the cookies are still nice and warm, stuff your face and avoid all of your responsibilities and obligations. I have to admit, I was a little skeptical about adding pudding mix to the cookie dough, but it really did add a nice vanilla flavor and soft texture. Keep that tip in mind for any of your future cookie endeavors.